When our loved ones were physically alive, they were the combination of their bodies and their souls, both loved equally. Those two seemingly inseparable parts created their lives. When they were in our presence, we absorbed them physically. We could touch them, hold them and talk to them. They were primarily their bodies, which to us was the most essential part of their lives. When they left to go to school or work, when they went out with friends or even when they had just gone to bed, we could still feel them, but we didn’t need to focus on that part of who they are because of their physical presence in our lives. They were real and tangible and we always assumed we could call them, wake them , or expect them to come home for us to physically see and hold. Paying attention only to their soul was never part of our conscious lives, even though their souls lives as surely as their bodies lived. Once their physical bodies died, those two seemingly inseparable parts became separated. Their bodies were either buried in the earth or cremated. That part of who they were ended, and since we never had to embrace them as only a life force, we may be tempted to believe that part of who they are ended as well. We thought we’d lost all of them forever; no more body, no more soul, no more life. Our suffering was huge, because we thought our loved ones would never again be a part of our lives. Our greatest suffering came from the loss of the physical. One moment they were alive, and the next moment they were not. We could no longer touch them, talk to them or physically interact with them, and it seemed to destroy us. The physical that we took for granted no longer existed, and our lives became a firestorm of pain and sorrow. Nothing made sense any more, and searching for their souls only, was something we had never learned how to do. Learning something new can take time. Even if we’re highly motivated it can still be a while before we’re able to make sense of something that never made sense before. Ever try to build a car when you’ve never done it before? The learning curve is very steep. It’s the same with our healing and the search for our loved one’s souls. Never before did we have to think of them as one dimensional, leaving their bodies behind and focusing only on their life force. A soul is intangible and untouchable, which can make it difficult to conceive it as real. It’s a concept that lives beyond the boundaries of our human reality. We never had to find their soul, so it can take time to learn how to retrieve it and bring it back to us in the form of their life. All we want after our loved ones die is to change the new reality that we can’t see or touch them. Our focus lies in our pain from the loss of their bodies. Searching for their souls is a search we have no way of understanding, because we’ve never had to learn how to do that. Part of capturing their souls can be achieved by the way we perceive them and our love for them. When they died, everything surrounding them and their liveswas referred to in past tense. That’s normal; that’s how we do it. We say, “I loved him,” or “She was a great person.” Since we think of their lives as being over, finished and no more, we address everything as an ending. Everything is about yesterday, the past. We tend to believe that since we can’t see them or touch them, we have no future with them. 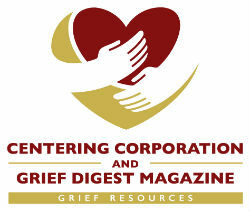 I recently took a class on bereavement training where a woman spoke about a very good friend of hers who had died. She said it was hard for her because, as she put it, “I loved Paul so much.” I then asked her a question even though I knew the answer. I said, “At what point did you stop loving Paul, because you referred to your love in the past tense.” It was a difficult question to put into words, since I didn’t want to seem as if I were challenging her love. She got a faraway look in her eyes and said, “You know, I’ve never thought about it like that. I haven’t stopped loving Paul. I still love him.” At that point she realized that even though Paul’s body was no longer with her, his spirit and his life force did not leave her. The Paul she thinks about is still the man she loves as her dear friend. It’s the same way with our loved ones. Death did not take all. Love has no past tense; we will always love them just as they will always love us. Sadly, we can’t love them like we could when they were physically alive. That part of our relationship has ended, which is a hard truth to acknowledge, but critical to our healing. Our entire relationship didn’t end when their bodies died. Their spirits and life forces can go on in the present if we allow that to happen. Loving them in the present is a way to keep them close. If we think of them as an “is” and not a “was,” they’re no longer behind us in the past, but in front of and next to us, in the present. It takes time and training for that to happen, but it can absolutely happen if we fight for our healing. When you do something in your life you can be proud of, instead of saying, “My loved one would have been very proud of me,” say, “My loved one is very proud of me.” Our loved ones are proud of us; their life force encourage us to move forward in our healing. And when you tell a story about them, speak about your pride in the present tense, “I am very proud of him for accomplishing that goal,” as opposed to saying, “I was very proud of him.” You will feel better. It took training and practice for me to change my belief system, and my vocabulary, to think of my son as an “is” and no longer a “was.” I had to consciously fight my life experience of referring to him in the past tense. When he became a present-tense child, I began to feel much closer to him. No longer was my son just the child I lost, but he became the child I had, and will always have. My life became fuller, my healing moved forward. Death took a lot when it took our loved one’s bodies, but death did not take everything. Their spirits and life forces can live on through our memories. Life will never be like it was, but it can be good and have meaning if we recapture their lives and bring them into the present. The person you knew when you put your head on your pillow at night is a person you will always know and always have with you. Not all of them is gone. Think of them as being with you in the present tense, because they can be. Everything they were, they still are. There is no past tense to our loved ones if we let them live in the present. Rob began his journey in March of 1998 when his twenty-one-year-old son, Brendon, was murdered. His path to healing has come through writing, speaking, conducting workshops and facilitating sharing groups on local and national levels. The author of many published essays and poems, Rob’s goal is to continue to give away the healing he was given by others.